Brutal Paws of Fury BRAND NEW & Factory Sealed VGA 80 for SNES Super Nintendo! 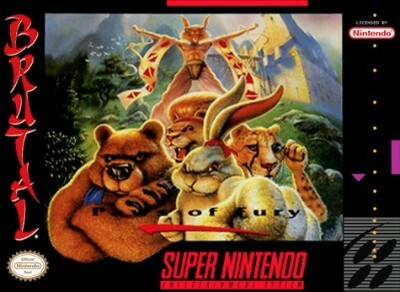 Brutal Paws of Fury Super Nintendo SNES Original Authentic Video Game! Original SNES Brutal Paws of Fury Game Cart ~ Cleaned & Tested ~ FREE Ship! Brutal: Paws of Fury Super Nintendo SNES Cartridge Only Tested Fast shipping! !